Country clubs. Supper clubs. Private places reserved for paying members only. A handful of such social clubs exist in central Iowa — at least nine prominent country clubs and one dining organization. The bragging rights for seniority belong to Des Moines Golf and Country Club (DMGCC), founded in 1897. Hyperion Field Club is next in line; its origins date back to the year 1900. And don’t forget about the Des Moines Embassy Club, which boasts organizational ties to The Des Moines Club, founded in 1909. Club initiation fees can cost as much as $24,000. That’s not chump change for most folks. Common sense dictates that people wouldn’t continue paying for a product if it hadn’t provided substantial value during the previous century. Still, the high cost of members-only clubs means many Iowans have never been a part of one. This begs the question: If you are not a member, what are you missing? Once upon a time, country clubs epitomized wealth, leisure and high society. 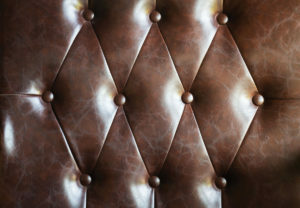 The price tag at most clubs continues to ensure some exclusivity, but aside from the cost barrier, most modern clubs strive to be as inclusive as possible, according to Bill McMahon Jr., of McMahon Group, a national research firm that has been tracking industry trends and conducting club member surveys for the past 35 years. Clubs face stiff competition from public courses and other country clubs to attract golfers. They compete with an increasingly diverse population of restaurants to attract foodies. And the new brand of massive athletic clubs is driving competition for the serious athletes looking for training facilities in the so-called “country club sports,” including tennis, golf, swimming and diving. This ultra-competitive environment means inclusivity is necessary for many clubs in order to make ends meet. In the past, country clubs attracted new members by building bigger and better golf facilities. McMahon says the sport’s waning popularity has the industry rethinking that strategy. On a national basis, golf continues to be the No. 1 attraction for male club members, but McMahon’s data says women value “everything else.” In order to compete and attract new members, fitness options are necessary, as are health, spa and massage facilities. Dining opportunities rank as the third most important activity for club members. And although food has been a central component of club life for a long time, even that is changing. Instead, many clubs continue investing in grand dining rooms, but they also construct separate bars and lounges designed specifically for socializing. Smaller grilling types of casual eateries are also being added. Swimming pools have always been considered the “gateway” to club membership. These facilities continue to be of critical importance, especially to younger members. Being slightly ridiculed. Believe it or not, that ranks as Sean Vicente’s best moment at Des Moines Golf and Country Club — but it might not be what you think. Before joining the members-only club in 2005,Vicente considered other options. 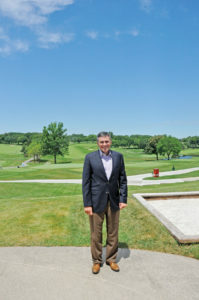 Besides the golf course, the decisive factors ultimately tipping the scales in DMGCC’s favor included its location — it was a mile or so from his home — and the friendly atmosphere. More than a dozen years later, Vicente serves as the club’s president. He has no shortage of fond memories, but he says the tops was the time two teenagers teased him about his faulty golf swing. 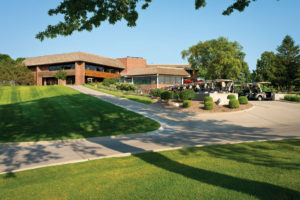 Des Moines Golf and Country Club has 1,300-1,400 members, making it the biggest club of its kind in the area. It provides members with access to athletic facilities not otherwise easily accessible. The incident occurred last year, as DMGCC hosted the Solheim Cup. The premiere women’s international golf event reeled in some of the world’s top female players, and Vicente was able to participate in the Ping Junior Solheim pro-am. From one of the tees, Vicente hooked a “terrible shot” into the trees. At first, he had doubts as to the validity of her advice. The financial cost of belonging to a country club is substantial. Vicente recognizes that a $24,000 joining fee, and additional monthly dues of nearly $500, is a lot of money — but priceless moments with his family help justify the expense. hopefully keeping them out of trouble and involved in more productive activities. Vicente doesn’t regret his country club decision, even though he’s made plenty of mistakes on the golf course. With the help of his daughter and their new international friend, he is learning, raising his family and improving his swing. “It is a place to belong,” he says. If you ride the Ruan Center’s elevator to the 34th floor, from the top of the downtown high rise, you will find a respite overlooking the city’s hustle and bustle. Straight away, out of the dining room window of the members-only Des Moines Embassy Club, is a thought-provoking view of the Des Moines River’s rapids, the capitol’s gold dome, Principal Park to the south, Wells Fargo Arena to the north, and the clear blue Iowa sky extending in all directions. “There’s a turkey vulture,” says Michael LaValle, the Des Moines Embassy Club’s long-time overseer. He is pointing to a bird suspended on an air current a few feet away. 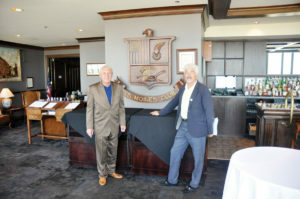 LaValle has enjoyed a bird’s-eye view of members-only dining during his professional career, most of which has been served at this club and at its various other iterations. “I think I’m the longest serving club manager/president in the community,” LaValle says. The distinction entitles him to tell the club’s many tales. Somewhere in the distant past, one of its forerunners served only Republicans. Later on, it exclusively catered to Democrats. Illegal gambling was once common there, and during a particularly dark point in the past, the club’s policies favored men. “Now he runs this place,” brags LaValle. To Torok, a hardworking man with humble beginnings, the Des Moines Embassy Club is his version of the American Dream. The club has also been something of a dream for LaValle. He remembers his first day on the job as a 22-year old college student in the early 1970s. As a minimum-wage employee, LaValle was paid $2.10 an hour. But he says he loved every minute he spent at the club. The dress code has been relaxed. The club now has both formal and casual dining options. Ties are no longer required, and LaValle likes the changes. To an outsider, the club might resemble other dining establishments, but not to LaValle. Hyperion Field Club in Johnston offers swimming, golf and a traditional country club setting. Photo submitted. Sometimes that means a member wants nothing more than a burger while eating at the bar. But the club also makes available the finer side of the culinary arts. The club operates as a not-for-profit organization with a $5 million budget, according to LaValle. LaValle believes the club is special. Club members run tabs. When they bring guests, there is no arguing about the check. The bills are tallied monthly. The menu at the club changes continually. But the classic entrees stay available. The food is one reason the club has enjoyed stability with its clientele. LaValle says one group has been visiting the club every Tuesday for years. “They’re very close, and they have lunch every week together,” he says. The club’s staff also enjoys rare longevity for the food service industry. Of its 28 full-time employees, LaValle says eight or nine have been with the club for 20 years or more. The club’s members prefer familiar faces. LaValle doesn’t see as many long lunches as in yesteryear, but he promises that servers at the club won’t be lurking in the corner and giving diners the evil eye in hopes of turning the table quicker. How does one become a member? Visit website for details. Monthly dues: Monthly dues are based on your age. How does one become a member? Membership is by invitation only, according to its website. But club officials say being invited to become a member isn’t as hard as one might think. “It’s pretty simple. You call us and tell us you’re interested, and we send you a membership package that you can fill out.” After that, tours, introductions and orientations take place. How does one become a member? Contact Megan Martens — membership@hyperionfc.com; 278-4711 ext. 120 — to schedule a tour and complete an application. A sponsoring member is not required to join Hyperion. Monthly dues: Monthly fees and dues range from $50 to $290, depending on the service package. How does one become a member? Call 276-5496 for membership details. Members: 750 families divided between golf, clubhouse and dining memberships; 375 golf members How does one become a member? Visit website for details. *Declined to provide membership information. Information gathered via website or other online materials.